UNFPA is a key player in the health sector wide approach in Mozambique and participates in its various levels, at policy dialogue and also technical level. UNFPA supports the Government of Mozambique to broaden availability, access and use of quality Sexual and Reproductive Health (SRH) services at several levels. KIMCHI programme started in Mozambique in November 2015 under the overall coordination, technical support and management of UNFPA in partnership with WHO and is expected to end in June 2019. It has been implemented by Ministry of Health at central level, Provincial Directorate of Health in Cabo Delgado, Ministry of Women and Social Affairs, AMODEFA (IPPF Affiliate) and Fundação Wiwanana, a local implementing partner. Considering that KIMCHI nears completion of its cycle, an evaluation is to be undertaken, to provide a comprehensive and systematic accounting of performance, the likelihood of sustainability and possible impacts. The analysis and recommendations of the evaluation will be important for UNFPA future interventions, to the Government on eventual replication and follow up, to the partners and beneficiaries, and will also inform the formulation of eventual successor proposal. 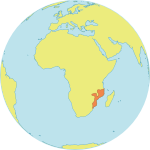 UNFPA Mozambique is looking for a consultant to conduct an independent, external, forward-looking evaluation of KIMCHI Programme “Support to Cabo Delgado province to reduce the burden of maternal, neonatal and child mortality and morbidity”. “Support to Cabo Delgado province to reduce the burden of maternal, neonatal and child mortality and morbidity”. Objective 1: Reinforce the health system to improve the availability of Maternal, Neonatal, health and family planning services and increase access for the target population. Objective 3: Increase the quality of Maternal, Neonatal health including Family Planning services. Objective 4: strengthen coordination and M&E mechanisms to ensure the effective implementation of the Integrated Plan Mozambique to Achieve MDGs 4&5. The planned interventions are fully aligned with national policies, strategies and plans and especially, the National Health Strategy 2014/2019 (PESS 2014-2019) national Integrated Plan to Achieve MDGs 4&5 and the National Family Planning strategy 2010-2015 (2020). In support of the overall goal and specific objectives of the programme, planned activities are implemented along the continuum of care. The "continuum of care" for maternal, child and newborn health includes integrated service delivery for adolescents and mothers from pregnancy to delivery, the immediate postnatal period. Such care is provided by families and communities, and through outpatient services, clinics and other health facilities. The continuum of care recognizes that safe pregnancy and childbirth are critical to the health of both the woman and the newborn child—and that a healthy start in life is an essential step towards a sound childhood and a productive life. System strengthening in Cabo Delgado, including provision of essential commodities for service delivery and support to the referral system. Institutional capacity development of government and non-governmental partners (through training and technical assistance) to ensure high-quality engendered service delivery, in Cabo Delgado province, complemented at the local level by community capacity development. Provision of family planning services at community level. The approach is mainly targeting rural areas where access to health facilities is difficult. Community-based family planning (CBFP) brings family planning (FP) information and methods to women and men in the communities where they live rather than require them to visit health facilities. Social mobilization to increase the knowledge and demand of communities of and for quality engendered health care, denounce gender-based violence and increase the involvement of men in reproductive and sexual health. To review the relevance, effectiveness, efficiency, sustainability, equity and impact of the KIMCHI approaches / programme. To identify the factors that have affected positively and negatively its implementation. To identify a set of lessons learned and provide recommendations to UNFPA and partners for future programming, based on the evaluation findings. 1. While assessing results, the evaluation is expected to consider the following aspects: country ownership, mainstreaming, sustainability, catalytic role and impact. This also includes assessing the integration of KIMCHI programme approaches in capacity building, commodity management, community-based family planning in target areas, as measured by the adoption and ownership of KIMCHI programme components within government strategy, policy and programme framework. The evaluation will analyse and interpret the results of the endline surveys that will help defining the results of KIMCHI implementation. The endline surveys are mostly the replication of the baseline exercise done in 2015 which established a set of data that is used as basis for measurement and comparison, a starting point from where the implementation began. Directly linked to the programme logical and result frameworks, the baseline was twofold: a Health Facility Assessment (HFA) and a Household KAP survey (KAP). The Health Facility Assessment is a census of all 59 hospitals and health centers, present in KIMCHI 8 intervention districts; a facility-based cross sectional survey that will measure current functioning and capacity of the provincial health system to provide antenatal care, maternal and newborn services and postnatal care. The assessment meets international standards and covers the following areas: infrastructure, human resources, equipment and commodities, statistics, key functions and essential services, skills and competencies of health providers. Individual interviews based upon semi-structured questionnaires and direct observations (infrastructure, equipment, ANC, PNC, etc.) are the methods used to collect data which once aggregated and analysed identify possibly persisting gaps the KIMCHI programme focused on. It also allowed DPS and UNFPA to define the most effective use of funds to equip health facilities in need and bring them up to standards. The KAP survey, a cross-sectional household-based survey, assesses the sexual and reproductive health needs, knowledge, attitudes and practices of young people in Cabo Delgado. It informed programme planning and provided baseline data for evaluation of the impact, efficiency, efficacy and relevance of programme approaches. It helped define in each of the eight target districts specific objectives and most appropriate interventions. The specific objectives of this household survey are: (1) to assess the sexual and reproductive health needs of young people (aged 15 – 24) in the 8 districts of Cabo Delgado; (2) to define the factors that enable or prevent young people from making healthy life choices or using services in their communities in order to adapt programmatic approaches to address gaps; and (3) to collect data on programme results indicators related to SRH for evaluation of KIMCHI programme. The survey with a multi-stage clustered sampling is carried out (standardized questionnaire) among a representative sample of men and women aged 15-24 years in in the eight districts of interventions in Cabo Delgado Province, namely: Pemba City, Ancuabe, Balama, Chiure, Mocimba da Praia, Montepuez, Mueda and Namuno. Reports and full data sets of both endline surveys will be made available once the consultant is hired. 2. The evaluation is expected to identify the factors that have affected positively and negatively its implementation, factors that can explain performance as well as non-performance. Attention should be given to results that were planned and/or achieved. 3. Evaluation findings should be concise and punctual, leading to solid and operational recommendations for all stakeholders in their on-going implementation and forward planning. The evaluation is expected to provide clear recommendations for strengthening the programming approach, including by highlighting areas which need to be strengthened and recommend collaborative ways to improve results in future MNCH programming. This evaluation will be carried out in the districts where KIMCHI has been implemented. The final evaluation report with recommendations. The evaluation should follow the UN Evaluation Group (UNEG) ethical guidelines (http://www.unevaluation.org/document/detail/102), norms and standards (http://www.unevaluation.org/document/detail/1914) and code of conduct (http://www.unevaluation.org/document/detail/100) for evaluations in the United Nations System. UNFPA anticipates a two-phase process. Phase 1 – Development of evaluation methodology and tools: based on the TORs and on existing information, the consultant will prepare a detailed evaluation protocol and schedule, including an evaluation matrix with evaluation questions and sub-questions, sources of information, methodology, data collection tools, sampling, statistical formulas, questionnaires, and analysis methods and tools. This information will be summarised in an inception report, which will guide the assessment. Information sources are expected to include, but will not be exclusive to the project document, baseline, monitoring matrix and KIMCHI Annual Reports, project reports, policy and strategic documents, expert articles and opinions, the documents already developed by the work undertaken during the process of project development (baseline), implementation (result framework) and analysis (reports, endline). Data collection instruments can include amongst others, surveys, questionnaires, interviews through SWOT analysis, focus group discussions, and other participatory methods. The proposed methodology should specify measures the evaluation will take to ensure that the process is ethical, that confidentiality and dignity of participants in the evaluation are guaranteed, in particular in case of participation by adolescent minors and vulnerable groups. Phase 2 – Implementation of the evaluation: this phase will focus on data collection, according to the protocol defined and agreed in Phase 1, data analysis and report drafting. The evaluator will establish appropriate communication and collaboration among the main KIMCHI stakeholders – the Government of Mozambique, the Korea International Cooperation Agency, DPS Cabo Delgado, Amodefa, Fundação Wiwanana, and UNFPA - and will be responsible for presenting findings of this evaluation to project stakeholders, and others considered pertinent. The consultant will also formulate and present conclusions and recommendations based on the evaluation findings. The consultant will work under the direct supervision of the M&E officer, in close collaboration with Deputy Representative and Programme staff. Visit of some KIMCHI intervention areas in accessible districts of Cabo Delgado province of Mozambique (to list) will be required. Expenses will be reimbursed on pre-approved budgets in line with UNFPA financial regulations. Fluency in English and in Portuguese. Interested candidates should submit their application with motivation letter, updated CV and UN P11 Form to dedicated email inbox of moz.recruitments@unfpa.org by the latest 17 February 2019, 5:00 PM (Maputo time). Applications received after this deadline will not be taken into consideration. Applicants will be short-listed on the basis of their qualifications and work experience. Only the short-listed candidates will be invited for interviews. IMPORTANT: There is NO application processing or other fee at any stage of UNFPA application processes.